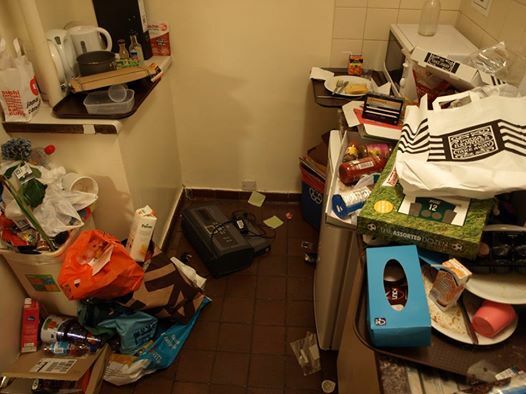 Rubbish piles up at the Garden Halls as the strike begins to bite. IWGB members are continuing their strike today against job losses at the Garden Halls, which sees more than 80 workers facing redundancy. You can follow the strike on Facebook or on Twitter. Please come down in person if you can – workers will be striking every day from 7.30am-1pm, and need all the support they can get. The strike is taking place outside Commonwealth Hall, on Cartwright Gardens – see here for full directions.